Can you ever have too much cheese? 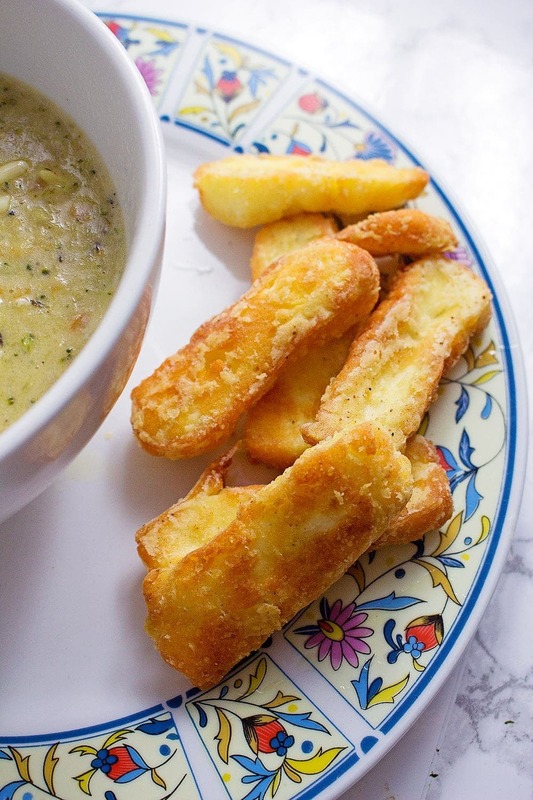 These crispy halloumi fries are the perfect thing to dip into this indulgent broccoli cheese soup. Sometimes you just need cheese on cheese. Those times normally occur when it’s a bit chilly outside and you’re on your own for the evening so there’s no one to point out that multiple cheese items in one meal is totally unnecessary. 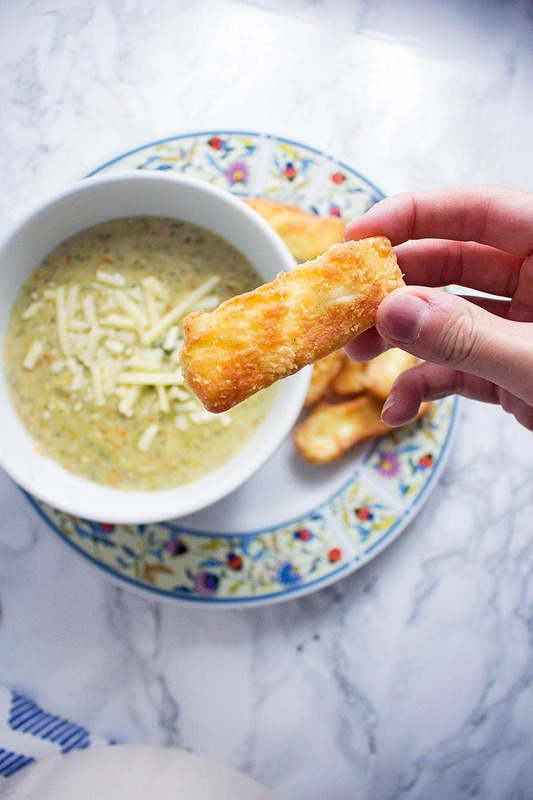 Luckily Will was not there to restrain me so I made halloumi fries to dip in this broccoli cheese soup and it. Was. Amazing. My favourite thing about these halloumi fries? They’re so freakin’ easy! Who knew? 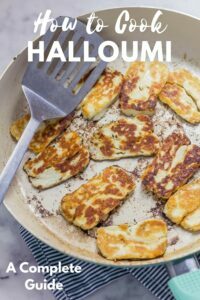 Once you’ve chopped the halloumi they’re simply coated in a thin layer of flour and fried in a little oil. I mixed the flour with some ras-el-hanout just for some extra flavour. I really really love ras-el-hanout. Also halloumi. Also fried things. This soup is an ideal winter warmer. It’s the kind of thing you can curl up on the sofa with (which is totes what I did btw) with a plate of halloumi fries on the table next to you primed and ready for dipping. Moving on from the soup momentarily onto the other love of my life, TV, I’ve been watching Gilmore Girls for the first time. I’m pretty into it not gonna lie. Now the trailers for the new ones are coming out I’m so paranoid about seeing a spoiler. I’m only three seasons in and I’m terrified that some big story line is going to be revealed while I’m still trying to catch up. I can totally get through four more seasons in a month right? 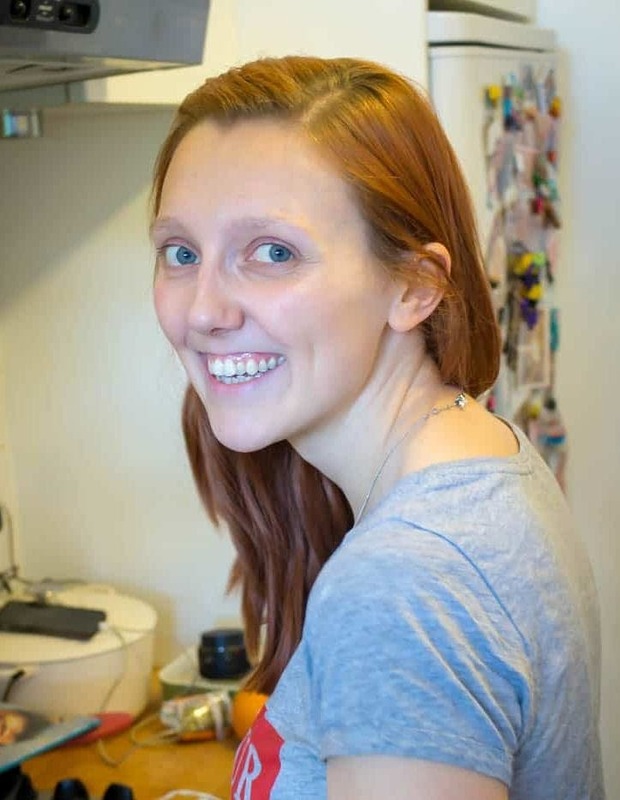 Also, we went out on Wednesday night which meant we missed the Bake Off final and by some miracle I avoiding finding out who won all day on Thursday so it was a thoroughly pleasant surprise when we watched it last night. I felt especially pleased with myself considering Will was spoilered by Twitter pretty much as soon as he woke up on Thursday. 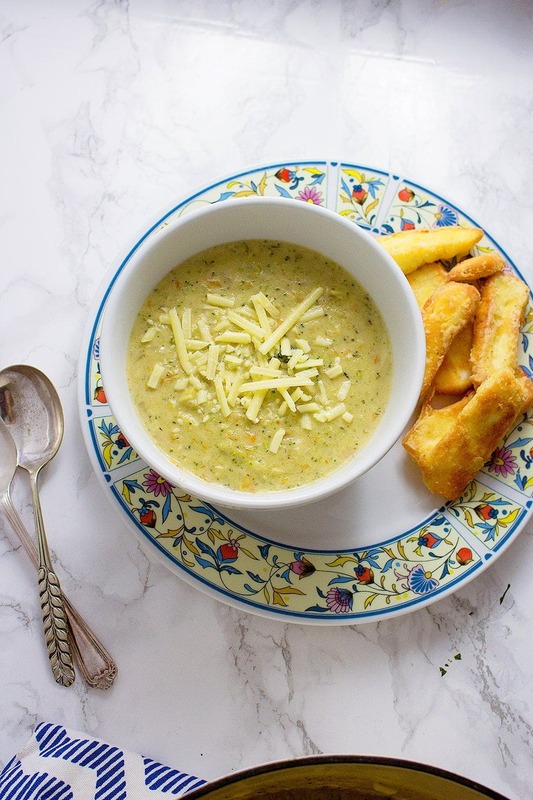 WONDERING WHAT TO DO WITH THE LEFTOVER INGREDIENTS YOU’VE GOT FROM MAKING THIS BROCCOLI CHEESE SOUP WITH HALLOUMI FRIES? Heat the olive oil and butter in a large pot over a medium heat. Once the butter is melted add the onion and leeks and cook until softened, about 10 minutes. Add the flour and stir into the mixture, allow to cook for a couple of minutes. Stir in the milk and chicken stock then throw in the broccoli, carrot, bay leaves, thyme and nutmeg. Cook until the broccoli is soft, probably about 25 minutes. Once it's done blend the soup up in batches. It doesn't need to be completely smooth, just get it to the consistency you like. Return it to the heat and stir in the grated cheese. Pour olive oil into a saucepan so that it comes up the sides a couple of inches. Heat over a medium high heat. Mix the flour and whichever spice you've chosen on a plate then dredge each piece of halloumi so that it's coated on all sides. Place the halloumi pieces in the hot oil and cook for a couple of minutes on each side. 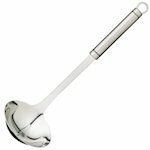 You might need to do this in batches depending on the size of the pan. Remove the halloumi fries and place on a piece of kitchen towel to drain. 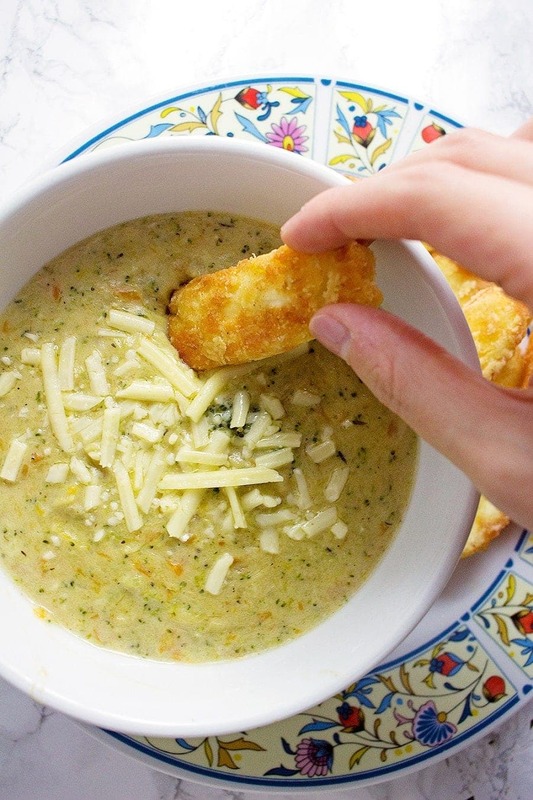 Serve with the soup and do lots of dipping! 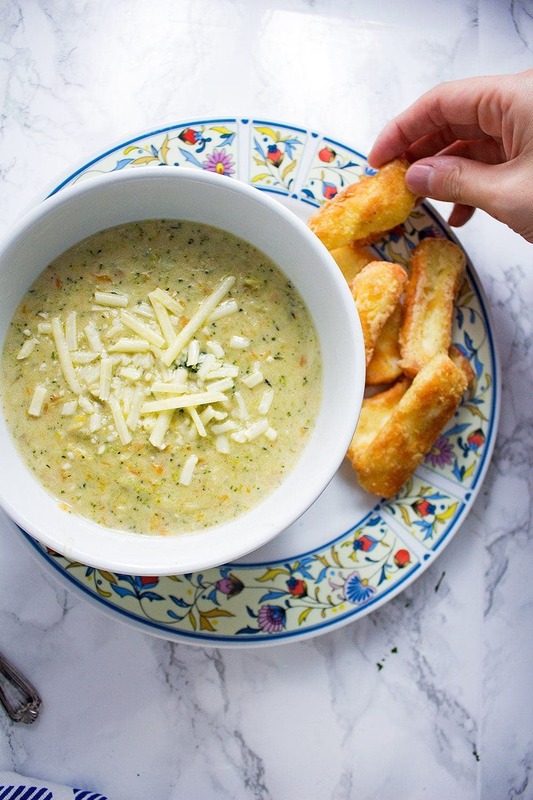 I’m not much of a soup girl but your recipe look so flavorful, very tempting and those halloumi fries, oh yum! I love the idea of making fried halloumi sticks! And good to know they’re so easy! And I’m always in the mood for soup! 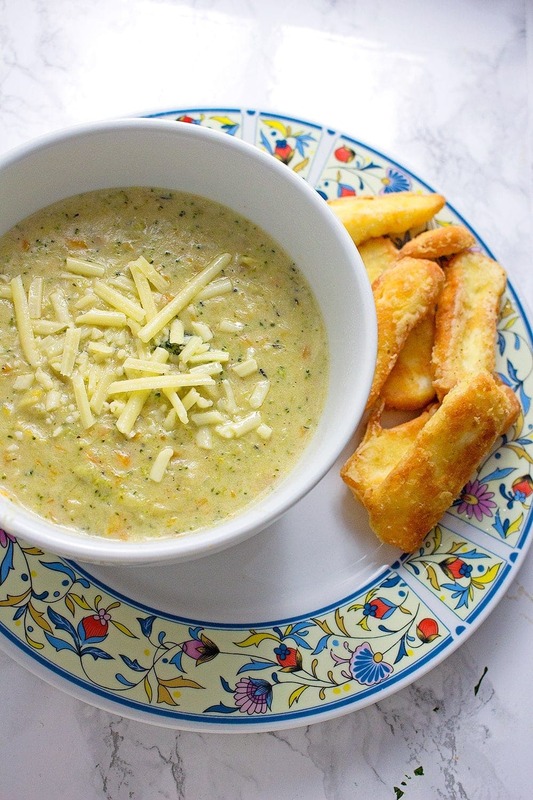 What a great combination broccoli cheese soup with Halloumi fries,already hungry. 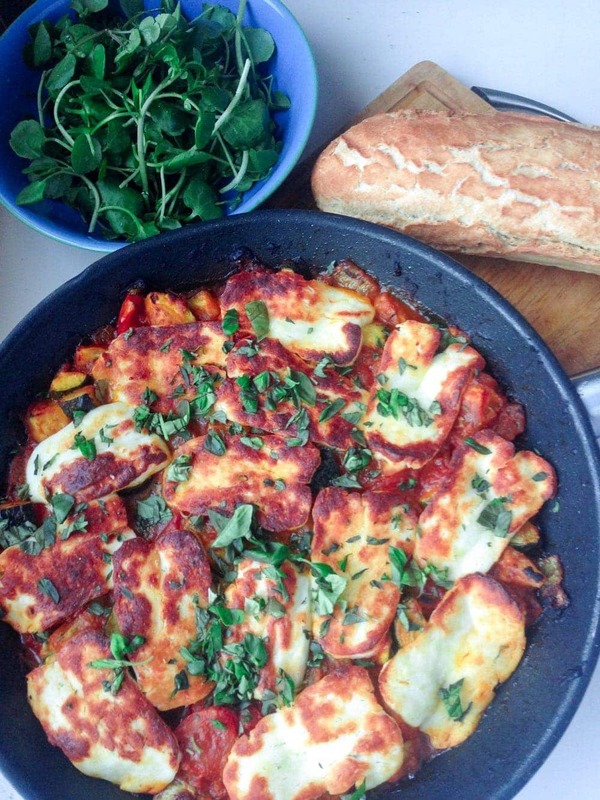 I would never have thought of making halloumi “fries” to go with soup! I bet they get the most amazing melted, gooey texture when you dip them in. YUM! You totally had me at cheese on cheese! 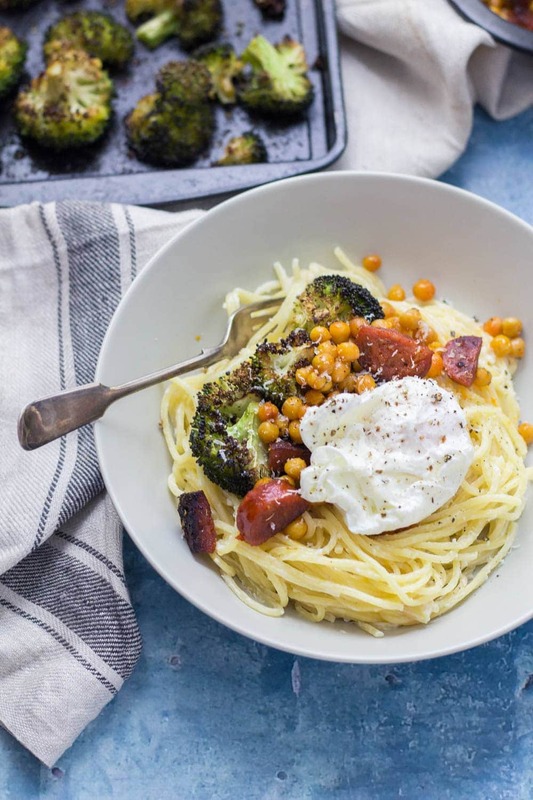 This has got to be the ultimate comfort meal, and I’m curious about the halloumi because I’ve never tried it ~ can’t wait!